Team Eritrea won the elite women’s team time-trial on day one of the Africa Cup, which took place in Eritrea today. Eritrea, provisionally, beat Team Ethiopia into second and Team South Africa third. SA comprises four riders: Liezel Jordaan, Maroesjka Matthee, Sanet Coetzee and Zanri Rossouw. 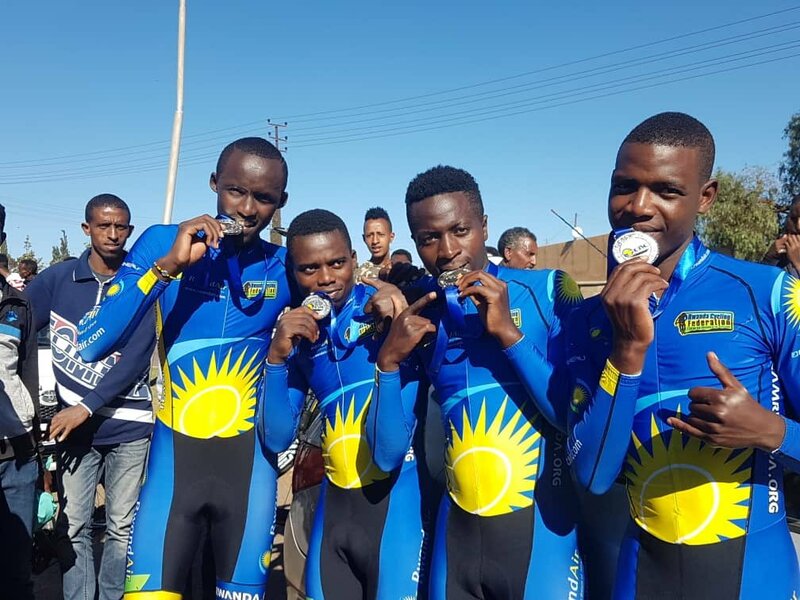 The national cycling team ‘Team Rwanda’ has made a flying start at the on-going 2018 African Cycling Competition in Asmara, Eritrea after scooping a silver medal in the Elite Men’s Team Time Trial. The Eritrean Cycling Federation in cooperation with the African Cycling Confederation is hosting African Cycling competition, which is the first of its kind, started today and will climax on Sunday November 25, 2018. Rwanda is represented by Tour du Rwanda reigning champion Mugisha Samuel who features for Dimension Data for Qhubeka, National cycling reigning champion Munyaneza Didier and the pair of Manizabayo Eric and Mugisha Moïse who recently won a stage each of the on-going Rwanda Cycling Cup 2018. The quartet is accompanied by Coach Byukusenge Nathan, doctor Obed Ruvogera and mechanic Eric Maniriho. Hosts Eritrean cycling national team won the Team Time Trial while Ethiopia cycling team finished third. Action continues on Thursday with riders taking in the Individual Time Trial race.